In the series The New Southern Hospitality, Editor-in-Chief Ashley Twist Cole explores the old and new traditions of Southern hospitality, what qualities and behaviors make us unique and, of course, tips and ideas on how to be the ultimate hospitable Southern host or hostess. Decorating a home is hard. Whether you live in 700 or 5,000 square feet, almost everyone feels the pressure to create a beautiful, homey living space. The good news is that some of your best home decor pieces are hiding in plain sight in our favorite room of the house — the kitchen! If you don’t know where to start when it comes to decorating, or if you want to change things up (and you should once in a while! ), here are some tips to spark some imagination using cookware and serving pieces as decor. 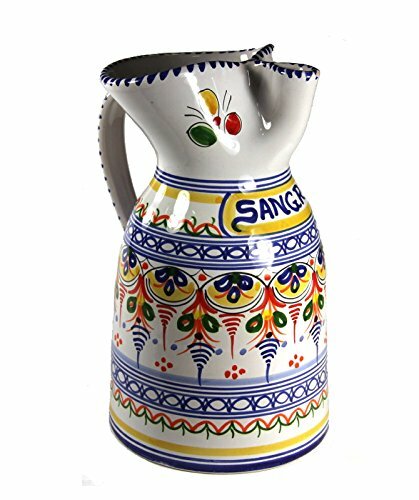 I was given a beautiful white water pitcher as a wedding gift. 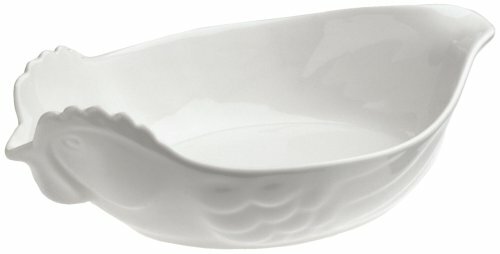 It’s so pretty that I have only ever used it as a serving pitcher once or twice, choosing instead to rotate it around my house as a decor item. 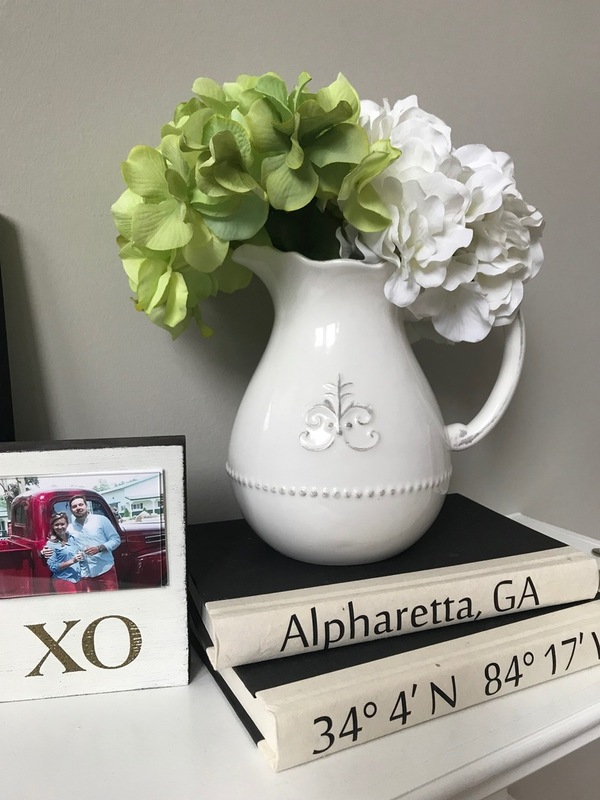 The pitcher is currently occupying space on my mantel, holding colorful hydrangeas and bringing a modern farmhouse decor style to my living room. Any carafe or water pitcher can easily double as a flower vase. 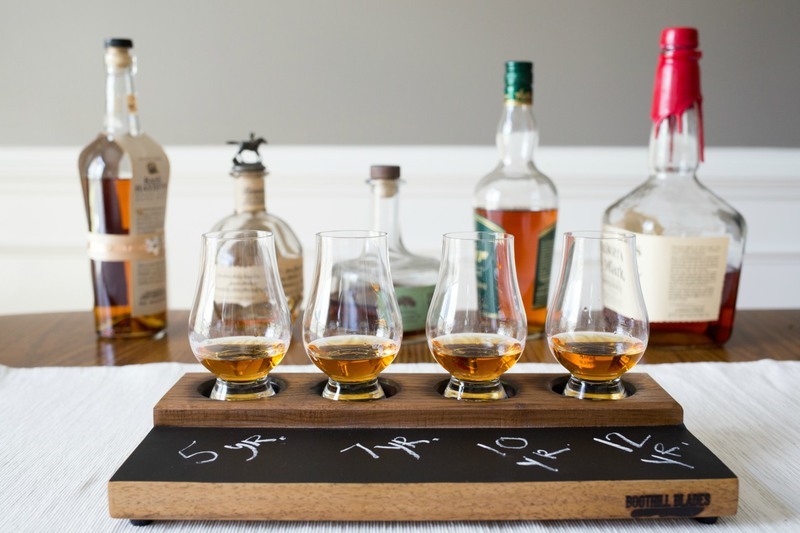 While my pour plank is usually angled on a shelf below our whiskey bar, primed with glasses and ready for a tasting, a pour plank can also play multiple roles if you get creative. If you have artisan oils or vinegars to display (and use!) in your kitchen, the pour plank is the perfect vessel; use the chalk to identify each type. It’s an elegant and functional way to show off your goods. If you’re not a big bourbon or oil person, consider putting candles of various height in the four holes and placing the pour plank on an entryway table. Add a welcoming message written in chalk for your guests to see upon arrival. Cast iron skillets come in all shapes and sizes, and while while we recommend having at least a few for cooking, you might also consider a decorative cast iron collection if it suits your style. I have a small Nest Homewares skillet that sits on a shelf in my kitchen next to some burlap-wrapped Mason jars. 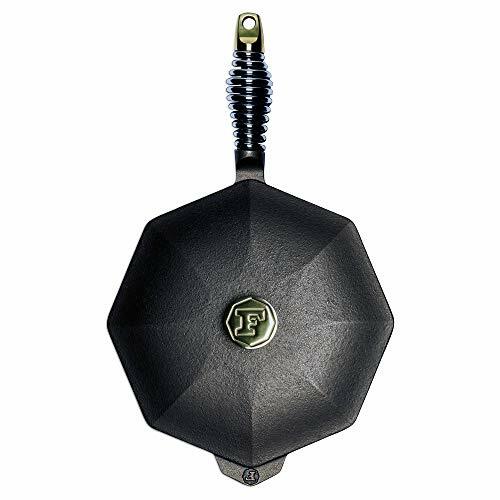 Another option, depending on the size of your collection, is a cast iron wall: Hang your cast iron skillets facing the wall in a pattern for a classically Southern look. You could even pull this off with 3 to 5 skillets of various sizes. Consider vintage cast iron, new cast iron and everything in between for a varied aesthetic. 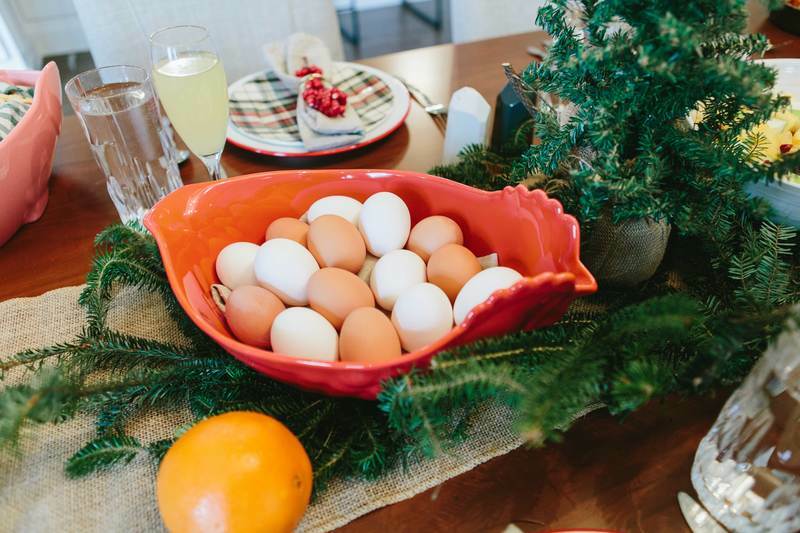 There are also several options for using a cast iron skillet as a centerpiece! In the fall, place some leaves, pinecones and small pumpkins and gourds in the skillet and place in the center of your table. In the summer, consider peaches and other stone fruit and some greenery to compliment the colors. You could also flip your cast iron over and use it as an elevated surface to showcase flowers, jars and candles. Remember: height is your friend when it comes to table centerpieces. Do you have your grandmother’s rolling pin? Are you in love with your spootula? 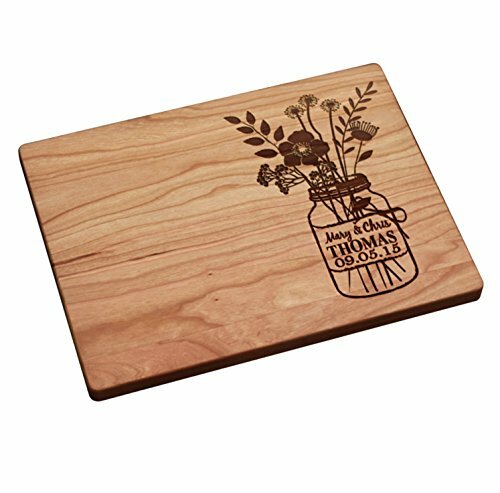 Consider rounding up your favorite and most attractive wooden cooking tools to put on display. Various shades of wooden items look great in an opaque vase or container that you can set out on the counter, table or shelf. Use at least three to seven different tools. That rolling pin? Grab a display stand and put that one out on a shelf. Use it when you need it, of course, but show it off proudly. Remember, your home should be a reflection of you and your interests. Grab anything you love and make it work — fill serving bowls with candles or wine corks. Put your colanders on display with fruit (real or fake!) for a “summer in the country” vibe. There are no rules when it comes to decor except to be creative and be you. Do you have other home decor ideas using your favorite kitchen items? Share with us on Facebook or by emailing editor@southernkitchen.com!